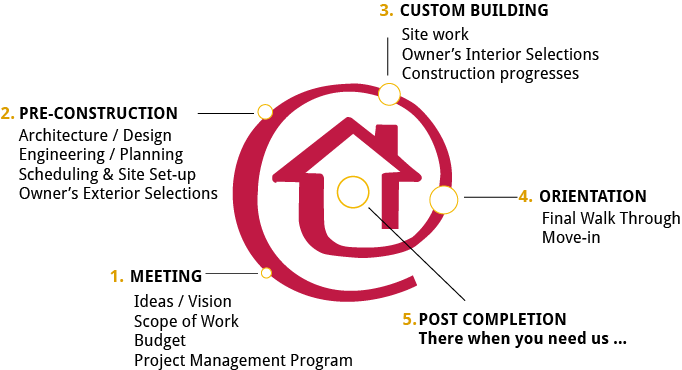 We designed our logo to reflect the movement through the various stages of the custom building journey. From the initial meeting and pre-construction ideas through construction and the final walk-through and beyond, “We Bring You Home” and stay your trusted advisor for years to come. We streamline communications with you via access to a secure online project management website which contains all details of your project.